Don Hajek, Schuyler, died Tuesday, April 19, 2016, at Bryan LGH West in Lincoln. Friday, April 22, 2016 10:30 A.M.
Donald B. Hajek was born July 31, 1934, in Linwood, Nebraska to Vaclav and Stazie (Vidlak) Hajek. He attended school in the Linwood and Abie area. Don was a proud member of the United States Army and has been a member of the Schuyler Honor Guard for many years. On February 11, 1956, Don and Arlene Holtkamp were married at St. Bonaventure's Catholic Church in Columbus. They lived in Schuyler where Don was the last private Pepsi Distributor. 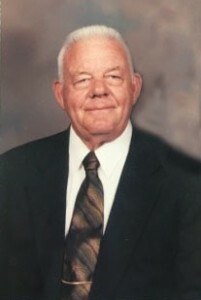 He and Arlene owned and operated JAD vending for many years and later built and operated JAD Car Wash. Don was a member of St. Mary's Catholic Church, the Knights of Columbus, Schuyler VFW, served two terms on the Schuyler City Council and was an Honorary member of the Schuyler Volunteer Fire Department.